Those of us living in Mountain View CA apartments or other accommodations don’t necessarily realize that this great place to live has a few unusual attractions that you may not have ever even heard of. In fact, some of these attractions are quite popular for a wide range of reasons. So if you’re looking for something different to do on the weekend or an uneventful weekday, you should definitely check out these local attractions sooner rather than later. What attractions are available in Mountain View and the surrounding area? Well, there’s the Computer History Museum, the world’s largest wind tunnel, the Waymo Self Driving Car Garage, Hangar One, and Libby’s Water Tower to name a few of the unusual things to see. Not sure if you find any of these attractions appealing? Don’t worry because we’re going to tell you all about them below. So you can read about each Mountain View attraction, see if it seems interesting to you based on your tastes, and decide if it’s a good place to visit after you’ve learned all you’ll ever need to know to make an informed decision. Sound good? Let’s get down to business without further delay. 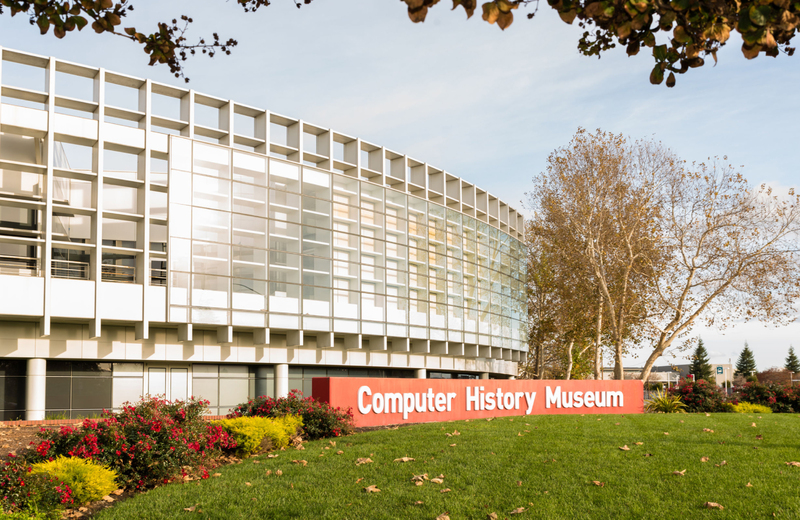 The Computer History Museum located in Mountain View, California is really exciting because it brings together a collection of computers like none you’ve ever seen before. You’ll see computers from all throughout history, recognize the evolution of these technological masterpieces, and you’ll even notice that they have prehistory computer devices on display as well. Not only that, but they also have some very rare and humongous computers on display like the Cray-1 Supercomputer. But looking at the old-style computers, the new computers, and everything in between is only part of the fun. This museum also has a wide array of records available to view, and you can look at everything in the form of software, documents, moving images, and photographs. These records will help you get a true sense of the history of the computer. Plus, they even have audio records on file from some of the top engineers in the computer field, which makes this museum extra special. You may not know what you’re missing because you’ve never had the privilege of visiting the world’s largest wind tunnel. As a matter of fact, most people have no clue that they are missing out on such a unique and special experience. But once they visit this miraculous and unusual attraction, they can’t believe that they’ve ever lived without seeing it. What’s so special about the largest wind tunnel in the world? For starters, it was designed for NASA Ames Research Center as a state-of-the-art complex for aerodynamics. The tunnel is incredibly large, and it’s big enough to fit a 737 airplane into it. The tunnel is 80’ x 120’, and it’s actually the larger of two wind tunnels available to check out at Moffett Field. The other wind tunnel is 40’ x 80’, which is also incredibly large as you will see once you visit this location. They use these wind tunnels to test flight technology for visiting outer space, believe it or not. In fact, one of the things tested in this tunnel is parachutes that were specifically designed for missions headed to Mars. So if you ever wanted to see how NASA tests its upcoming technology, you’ll get a bird’s eye view just by visiting the largest wind tunnel in the world located in Mountain View, California. On the surface, this might not seem like the most exciting place to visit, but you’d be surprised how interesting and engaging it is to see the future of transportation live and in living color. Google spun off their company Waymo in 2016, and this business is currently creating self driving cars that will have you zipping all over the place driving the speed limit all across the world. For those interested in learning about the future of driving technology, you can get a sneak peek and see exactly what’s happening by visiting this location. And this garage is great because it lets you see all of the latest and greatest technology in this area that Silicon Valley and Google parent company Alphabet has to offer. Self driving cars are interesting to look at as well. They have a panopticon camera, tinted windows, and they’re always really clean. So you’ll definitely notice them driving around the streets of Silicon Valley and the suburban area surrounding it. Are you ready to see the future? If so, definitely check out the self-driving car garage in Mountain View when you visit the Waymo location. Hangar One is also located inside the NASA Ames Research Center that’s located in Mountain View, California, which we mentioned previously in another entry. As you can probably figure out, this is a massive structure that was specifically designed to hold some of the largest aircraft in the world. That’s why it’s called Hangar One, and it’s the reason why it’s home to zeppelins and other lighter than air aircraft. On the surface, this may seem like a new structure, but it was originally built in 1933. The hangar is actually 8 acres long and it’s 200 feet in the air, so it basically covers six football fields in length. It was originally created to become the home of the USS Macon, a scouting airship for the United States Navy. Unfortunately, the structure has been empty since the 1990s. Google has agreed to spend $200 million to rehabilitate the hangar that is slowly wasting away, which means many people will be able to view it for years to come. Libby’s Water Tower is an interesting site. It’s located in Sunnyvale, California and it was originally built in 1906. The meatpacking company closed its doors in 1985, and the 150 foot structure still stands, although it’s located in the middle of a generic office park at this point. If you’re looking for unusual attractions to view in Mountain View, California, we highly recommend checking out the places we’ve mentioned today. There’s something exciting and interesting for everyone, so do not hesitate to take a look and see the excitement for yourself.